The thirtieth annual B. G. Rudolph Lecture in Judaic Studies was deliv -ered by Professor Ken Frieden on 5 October 1993. 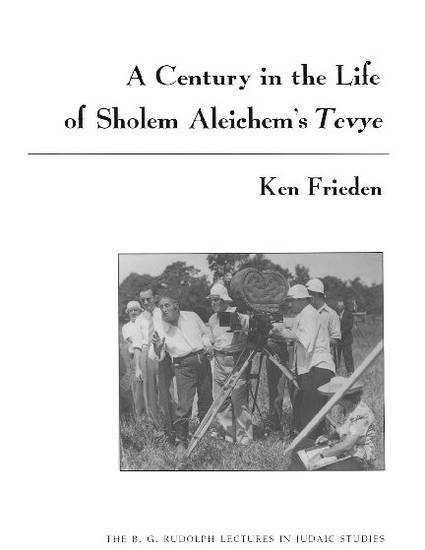 His essay, "A Centuryin the Life of Sholem Aleichem's Tevye," inaugurates the newseries of B. G. Rudolph Lectures in Judaic Studies. Founded in 1963 ,well before the Association for Jewish Studies was established, this serieshas included original work by many distinguished scholars.